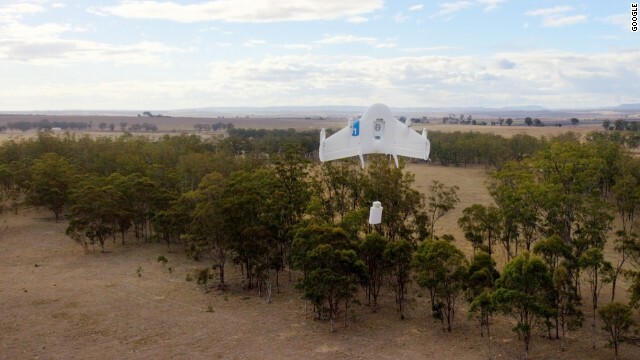 Google’s Project Wing prototype tests delivery by drone on a farm in Australia. (CNN) — Amazon is trying it. UPS has considered it. Ice fishermen in Minnesota used it to get beer. Yelp created one just for burritos. Google is the latest company to branch out into delivery by drone, it revealed Thursday. The technology giant started running its first test flights earlier this month as part of Project Wing, a secretive, 2-year-old program exploring drone delivery. A team of Google engineers and experts on unmanned aerial vehicles, called UAVs, safely carried out more than 30 test flights this month, transporting an assortment of goods including chocolate bars, a water bottle, radios, a first aid kid, dog treats and a cattle vaccine 1 kilometer. It conducted the tests on a farm in Queensland, Australia, to avoid the FAA’s strict guidelines that limit the use of UAVs in the United States. Google developed its own prototype hybrid drone with fixed wings and four rotors for the tests. It is 1.5 meters wide and can soar as high as 60 meters, far enough up to dodge houses and trees. Drones have the potential to revolutionize how goods are transported. In typical Google fashion, the company is presenting Project Wing as a way to make the word better, rather than as a tool to boost its bottom line; an early goal of the program was to deliver defibrillators to heart attack victims. Now Google imagines using the vehicles to deliver medicine and help the environment. UAVs can rise above traffic congestion, make a beeline for remote locations where roads are shoddy or nonexistent, and potentially cut down on pollution by replacing cars or trucks. In emergencies where regular routes are blocked, a drone could quickly ferry water and medicine to people in need. The Atlantic’s Alexis Madrigal got an inside look at the previously undisclosed program, which was headed by MIT roboticist Nick Roy and Google[x] lab director Astro Teller. “What excited us from the beginning was that if the right thing could find anybody just in the moment that they need it, the world might be a radically better place,” Teller told Madrigal. Actual drone delivery, at least by Google, is still years off. The project’s next goal is to determine if delivery by UAV is even viable. Then it will focus on safety features to handle potential problems like midair collisions and crashes. It also wants to reduce the noise made by its drones and fine tune navigation features to address issues like privacy. Project Wing is part of Google[x], the company’s lab dedicated to making big technical leaps, like Google Glass and self-driving cars. The department is led by Google co-founder Sergey Brin. This is not the first time Google has taken to the skies. It purchased a drone company, Titan Aerospace, for a reported $ 60 million in April. It is also working on Project Loon, which is testing the use of high-altitude balloons to bring Internet connections to remote areas. It also works with Makani, a company developing airborne wind turbines that hover between 80 and 350 meters in the air. He’s the only permanent resident of the International Space Station. 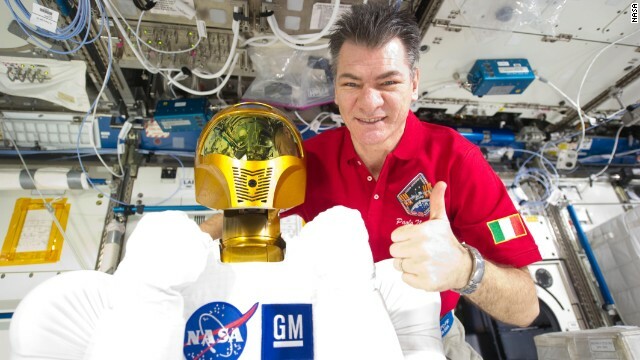 Robonaut 2 or R2, pictured here with ESA astronaut Paolo Nespoli, was designed by NASA and General Motors as a humanoid robotic assistant to perform maintenance tasks and free up the astronauts’ time. 40 “moustronauts” are to be flown up to the station later this year which will provide valuable biomedical insight into how spaceflight affects the human body. The mice will live for six months in NASA’s new Rodent Habitat modules, pictured, which can hold 10 mice each. 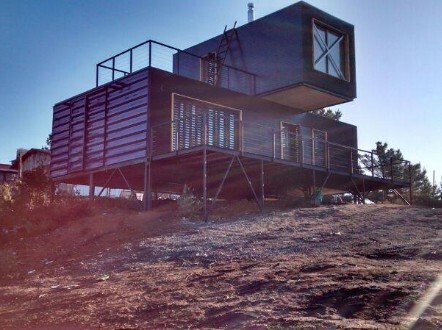 Could astronauts journey to another planet and 3D print their own houses? 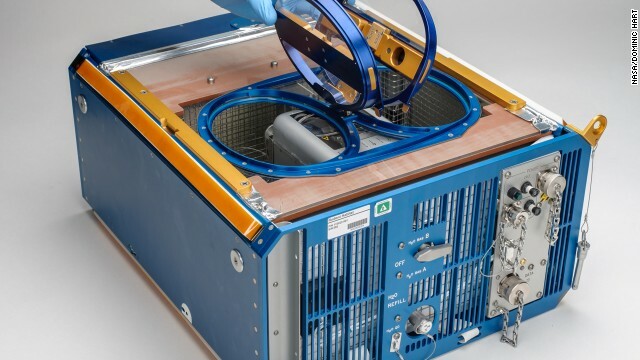 While that scenario is a long way off, scientists are investigating if zero gravity affects the tech, which could be used in the future for in-space manufacturing. Here, a 3D printer is tested in the Microgravity Science Glovebox Engineering Unit at Marshall Space Flight Center, Alabama, prior to being taken to the ISS. 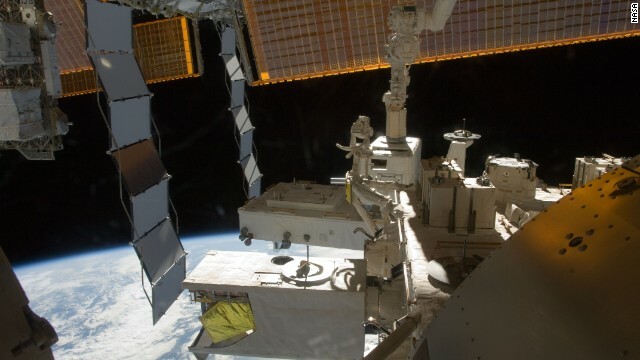 “Veggie,” a plant growth chamber, was sent up to the space station in July. 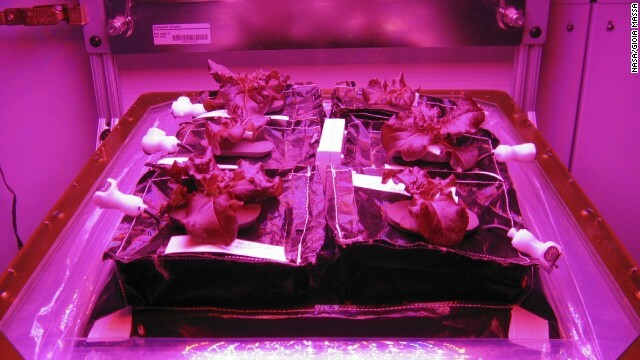 The experiment hopes to grow red romaine lettuce inside the “Veggie flight pillow” so that fresh salad can be grown or even recreated on longer missions. Earthbound experiments prior to launch at Kennedy’s Space Life Sciences Lab showed off a successful crop of lettuce and radishes. Brightly colored “Synchronized Position Hold, Engage, Reorient, Experimental Satellites” or “SPHERES” float around the Destiny laboratory module. Stephanie Buskirk Dudley explains: “The “SPHERES” are little bowling ball or soccer ball-sized robots basically. [These] satellites can fly inside the space station, propelled by little thrusters. 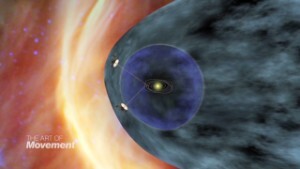 We can hook up all kinds of equipment to the “SPHERES” and you can do all types of things with them.” The results could help “satellite servicing, vehicle assembly and formation flying spacecraft configurations,” according to NASA. The gold box in the bottom left corner of this image is the Hyperspectral Imager for Coastal Oceans (HICO) which provides valuable information about the environment to scientists back on Earth. ISS research is conducted 24 hours a day, 365 days a year thanks to an internationally-coordinated effort by five control centers in Germany, Japan, Russia and two in the United States. Payload operations directors plan all experiments down to five-minute increments and often experiments are decided upon a year in advance. Inside the Payload Operations Integration Center at NASA’s Marshall Space Flight Center in Huntsville, Alabama. 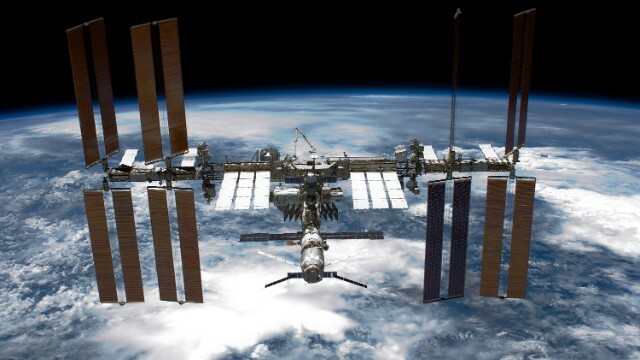 (CNN) — It’s the Earth-orbiting research lab as big as a five-bedroom house, complete with two bathrooms, a gym and a huge bay window — but how much do we know about what goes on at the International Space Station? We watched as astronauts played football in space during the World Cup, we listened to Chris Hadfield croon his rendition of David Bowie’s “Space Oddity,” and we’ve all seen the odd space selfie snapped in zero gravity. Sure, the lucky few who have gone up to the International Space Station (ISS) seem to be having fun. 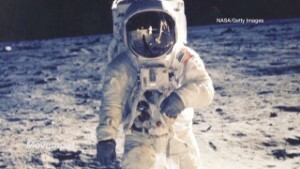 But there’s also a serious side to the astronauts’ sojourns among the stars that we don’t often hear about. If the ISS is a crazy space circus, then Buskirk Dudley is one of the ringmasters leading the ever-changing scientific troupe. It became humanity’s home away from home in October 2000 when the first six astronauts arrived on board and the ISS has been busy ever since. The permanently orbiting facility — which has cost an estimated €100 billion (just under $ 135 billion) according to the European Space Agency — has since been inhabited constantly by astronauts as they work tirelessly to answer some of science’s most intriguing questions. Often we see some of the more entertaining demonstrations appear on social media. 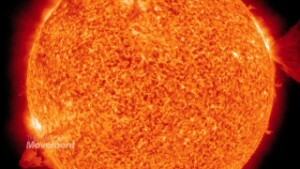 Just last month Canadian astronaut Reid Wiseman uploaded the world’s first #SpaceVine of a spectacular fireball experiment called FLEX-2, which examines how fuel ignites in space. Here on Earth, we thought it looked pretty cool. For scientists, the results could yield new insights into fuel efficiency for engines on Earth and safer future spacecraft production. Another seemingly quirky experiment involves sending 40 mice up to the station later this year, which will be their home for six months — roughly a quarter of a mouse’s average lifespan. The rodents’ journey to space may look like an odd move for scientists but it is hoped the “moustronauts” will provide valuable biomedical insight into how spaceflight affects the human body. These are just some of the hundreds of investigations taking place every day aboard the floating outpost by scientists from all around the world. The mammoth task is coordinated by the Payload Operations Integration Center (POIC) at NASA’s Marshall Space Flight Center in Huntsville, Alabama. Buskirk Dudley is one of 23 certified PODs who plan every minute detail involving space station research. Pioneering research is conducted 24 hours a day, 365 days a year and the key to success is planning, she says. “[It takes] a great team of people doing many different jobs. Everybody is an expert in their own little field. It really takes a whole team with a lot of hard work and planning. The success of ultrasound experiments by non-medical personnel in space has led scientists to believe that back on Earth, patients could be trained to perform their own ultrasound exams and send the images to doctors in situations where a medical facility is difficult to access. Buskirk Dudley adds: “Over half of the population of the world, for instance, is a woman. We are doing research on bone health every single day and just that one experiment alone could help over 50% of the world’s population. That is just human research: we’ve got biological research, we’ve got material research, combustion, particle physics — the whole gamut of research we’re doing every single day.
.@redskinz77 My brand new legs flew to the ISS this past spring, hoping to get them attached real soon! But Buskirk Dudley is keen to point out that it’s a truly International Space Station, not simply an American enterprise. POIC is one of five international control centers working to synchronize the research at the ISS. 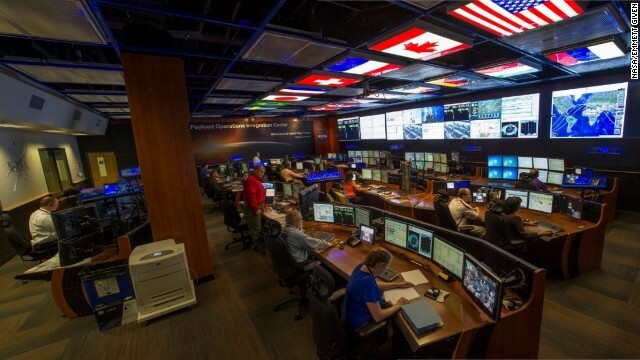 Other similar control centers are located in Germany, Japan, Russia and, of course, back at Mission Control at Johnson Space Center in Houston. Cheryl Nickerson is a professor at the Biodesign Institute at Arizona State University. She is one such trailblazing scientist at the forefront of cellular biomechanics, who has achieved remarkable success using the ISS to conduct unique spaceflight research into diseases such as salmonella. “The microgravity environment of spaceflight offers a unique environment for ground-breaking biotechnology and biomedical innovations and discoveries to advance human health in infectious disease, cancer, aging, bone and muscle-wasting diseases, and advances in tissue engineering,” she says. And she’s not done there. Later this year, commercial carrier SpaceX will fly the professor’s latest NASA-funded experiment, Micro-5, to the space station, where her team will monitor the salmonella infection process in real-time when the human surrogate host and pathogen are simultaneously exposed to spaceflight. For Nickerson, the ISS is invaluable for the ongoing pursuit of knowledge. 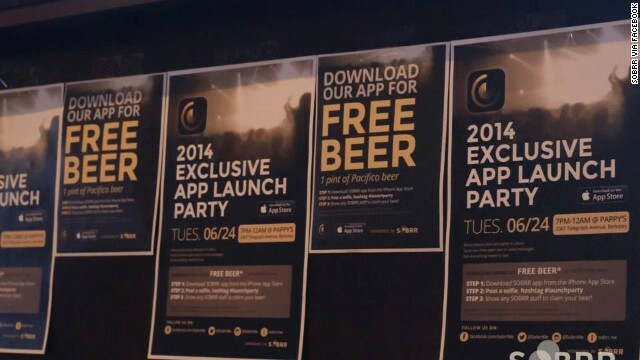 Sobrr’s launch party in June offered free beer, appropriate for an app that helps hide the evidence of users’ wild nights out. (CNN) — What would you do if you only had one day to live? Probably not spend time downloading and fiddling with a mobile app, we’re guessing. But a new app, Sobrr, wants you to embrace life in just that way. It lets you create a social network geared toward meeting new people around you, sharing photos and videos of what you’re up to and supporting other users who are also living it up. Or whatever. Using GPS, Sobrr identifies other users close to you and shows them your posts. They may then “cheer” or comment on those posts and, if both parties agree, they can become “24-hour friends.” There’s an option for users who hit it off to make each other permanent parts of their network. The kicker is that, anything you do using the app is totally erased after 24 hours. Texts you send to other users disappear after a few seconds and photos or videos you share can go away nearly as quickly. 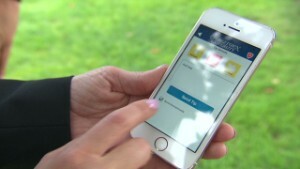 The app’s co-founder, Bruce Yang, says that in an era when your third-grade teacher can find you on Facebook and anyone you’ve ever met at work wants to network on LinkedIn, people are craving an app like Sobrr. It lets them share without worrying their actions will go down on their permanent record. Would you find your next date on an app? “It promotes sharing only the most refreshing contents and leading a casual relationship with no strings attached,” said Yang, an alum of Fitbit, LinkedIn and Microsoft. So, you can call Sobrr the anti-Facebook. But if you want to call it Tinder meets Snapchat meets Foursquare, you wouldn’t be that far-off either. The app’s name reflects the moment the idea first dawned on Yang — the morning after a Las Vegas bachelor party. He says he noticed all of his fellow partyers rushing onto their social media accounts to make sure they hadn’t shared any incriminating info about the previous night. No, Yang says, his app isn’t just another tool for the hookup culture or a way to send naughty photos without having to answer for them later. But if somebody wants to use it that way? He’s not here to stop them. “From the party animals that I’ve surveyed, more than half admitted that they want to meet new people in the party, and crave for a one-night stand,” he said. But he maintains that “naughty stuff” is only a small part of what users have been sharing in the month since the app’s release. It’s possible the Silicon Valley startup is onto something. In the past year or so, ephemeral messaging apps such as Snapchat, Confide and Wickr have flourished. So far, the app’s user base remains relatively small, boasting 10,000 users in the weeks it’s been available exclusively for Apple’s mobile devices. Whether more folks will flock to it to live a more carefree social media life, or merely hide the evidence from their wild nights out, remains to be seen. 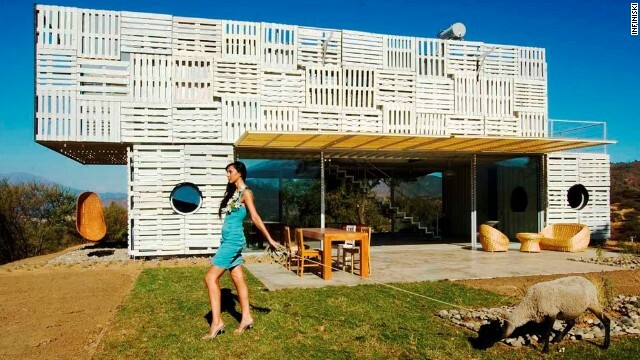 Infiniski Manifesto House in Chile – the high end of trash design. 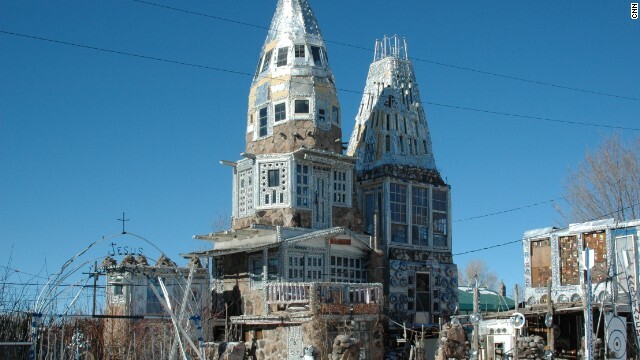 Cano’s Castle Colorado, rarely have beer cans been re-employed to such effect. Cathedral in Mejorada del Campo, Spain. 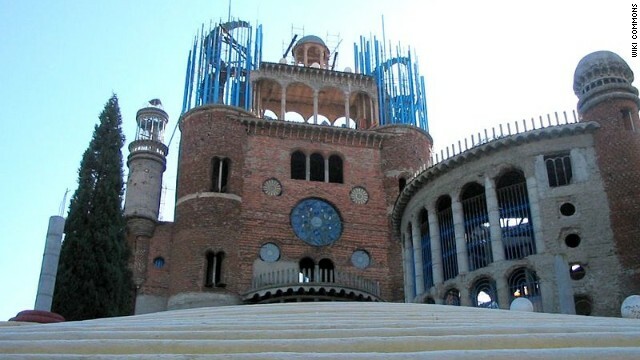 Built by one former monk over 50 years, and still awaiting completion. 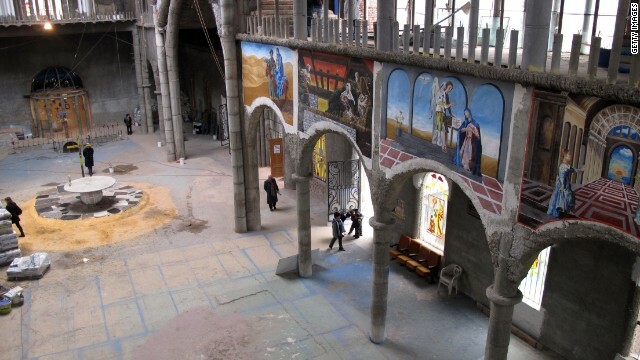 The interior of the cathedral, based on broken tiles and discarded bricks. 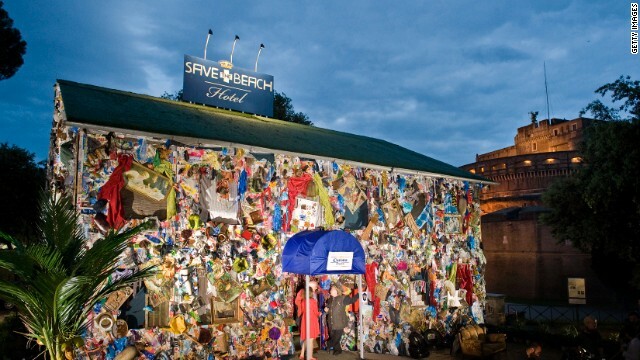 British artist’s Richart Sowa’s project off Isla Mujeres, Mexico, which uses 100,000 bottles to keep it afloat. 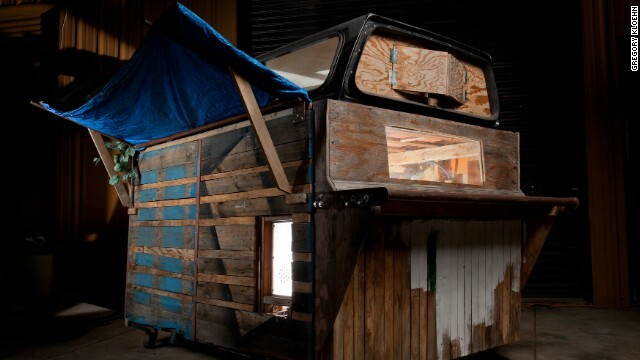 Dumpsters can make a fine apartment in New York City. 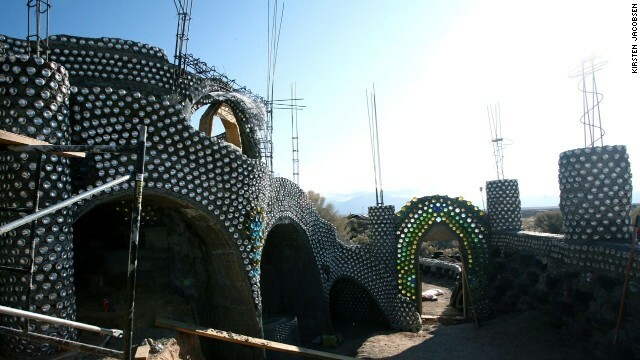 Recycled, sustainable house designs from Earthship Biotecture. 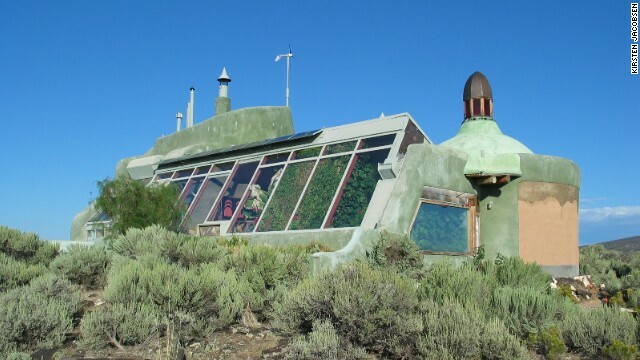 The Nautilus – one of the earliest Earthships – is modeled on the Fibonacci sequence, and an indication of the creative freedom of this building style. 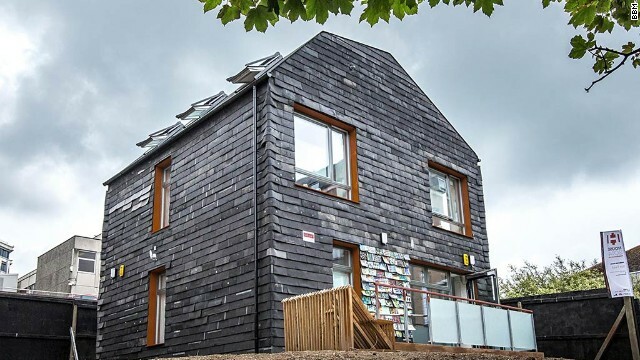 This 100% recycled residence in Brighton UK, uses thousands of toothbrushes. 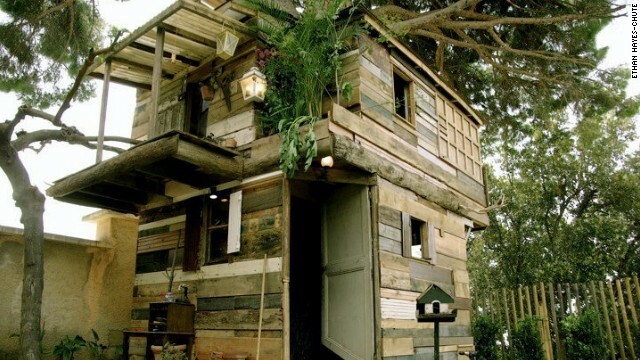 Treehouse designs are deliberately non-polished, to encourage confidence that anybody could build one. 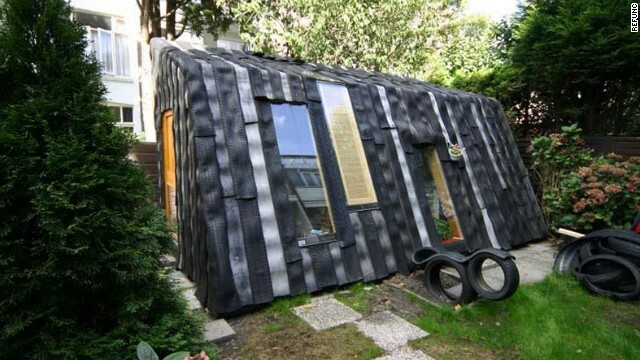 Dutch artist collective Rejunc turn wheels into walls for this garden office project. 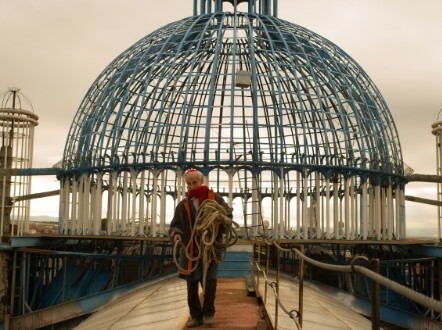 ‘Don Justo’ at work on his cathedral. 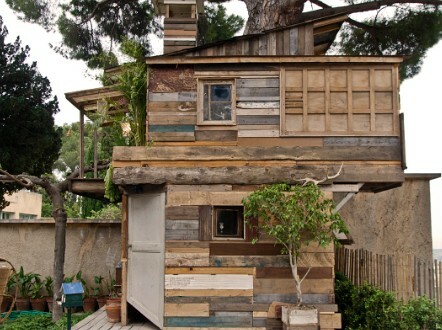 Recipient of Gregory Kloehn’s adapted dumpster. Designer Gregory Kloehn re-purposed a New York dumpster into an apartment, featuring a separated kitchen, bathroom and sun deck. He then expanded the concept, accessorizing waste disposal units further with abandoned washing machine, bicycle tires and scrap wood, for as little as $ 30 a time. Several of these have been made available for the city’s homeless community. 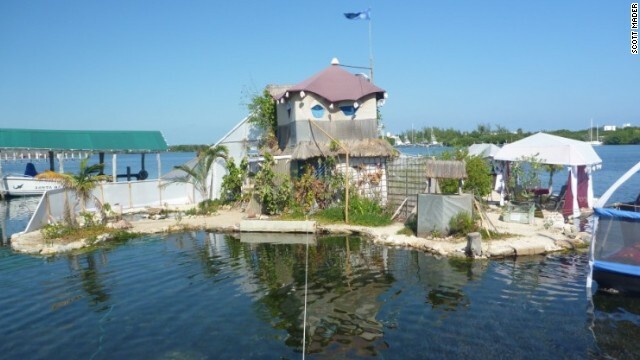 Would you live in a house made of sand and bacteria? 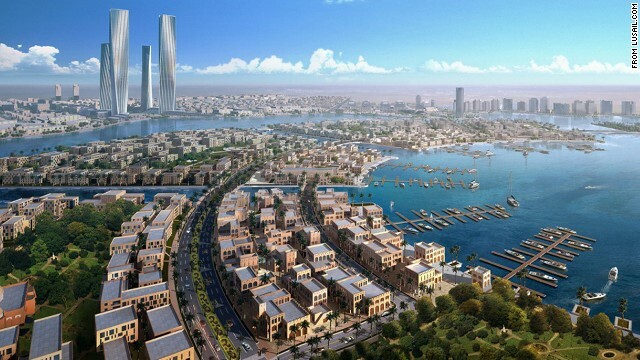 Lusail is a planned city being built from scratch along the Persian Gulf in Qatar. Expected to be completed in 2019, it will be packed with technologically advanced features. 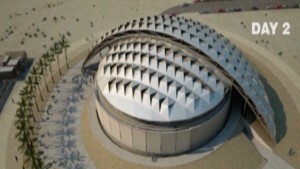 Lusail Stadium, still to be built, is expected to host the final game of the 2022 FIFA World Cup. 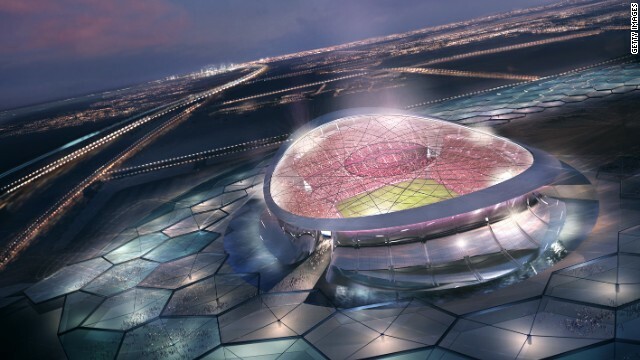 The stadium will be surrounded by a moat and contain advanced, open-air cooling systems to combat the blistering Qatar summer heat. Qatar sees Lusail as a business and leisure center with a cluster of four commercial skyscrapers. 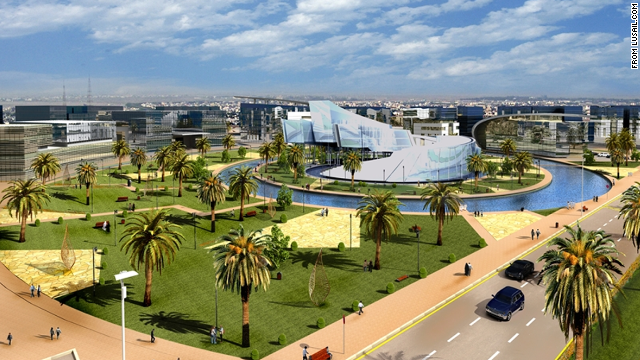 The city’s energy, communications and transportation systems will be run with the help of computers from a single command center, allowing Lusail to automatically adapt to changing traffic and weather conditions. 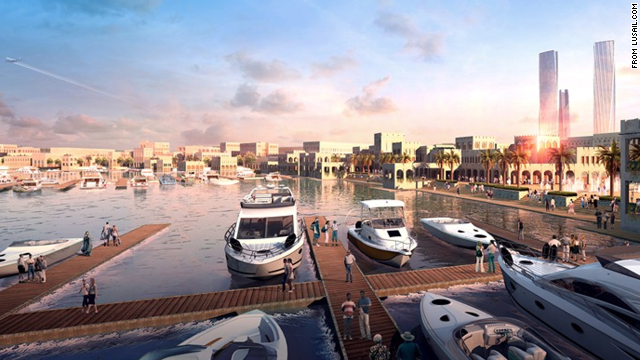 The city is being integrated with the surrounding Gulf via man-made islands, canals, marinas and other water features. The waterfont mall, cooled in part by solar power, will have a canal running through it and waterfalls throughout. 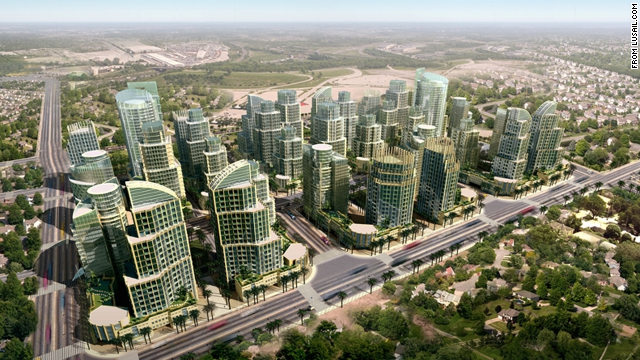 Between stand-alone homes and luxury condos, Lusail will contain housing for some 250,000 people. Buildings will be cooled by chilled water pumped through a vast network of pipes, which the city’s developers say is more energy efficient than electrical air conditioning. (CNN) — If you’re trying to create the perfect 21st-century city, it helps to start with a blank slate. Even if that slate is a sweltering strip of sand. That’s essentially what the government of Qatar and its developers are trying with Lusail, an ambitious planned city on 28 square miles of waterfront desert along the Persian Gulf. Now under construction, the compact city will contain a commercial district, a lagoon, four islands, two marinas, an upscale shopping mall, a hospital, a zoo, two golf courses and housing for some 250,000 people. 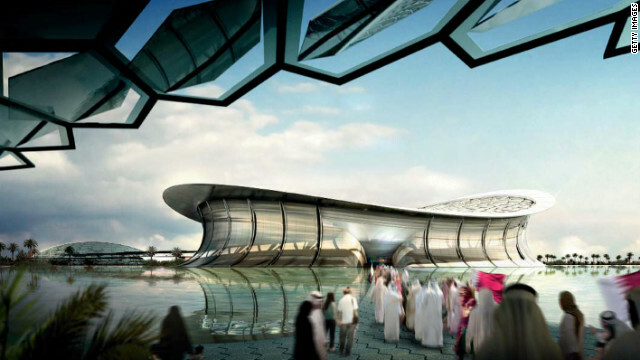 It also will feature an 86,000-seat soccer stadium, surrounded by a moat, that’s expected to host the final game of the 2022 FIFA World Cup. Residents and visitors will get around via a light-rail network, a water-taxi system and a network of underground pedestrian tunnels. 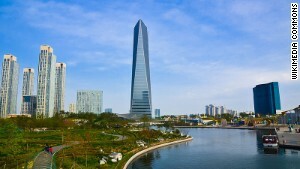 And all the energy, communications and transportation systems will be run with the help of computers from a single command center, making Lusail a “smart” city that can automatically adapt to changing traffic and weather conditions. “It’s very much an opportunity to build a vision of the future,” said Barry Hughes, senior vice president at HOK, the global architectural firm that designed Lusail’s Marina Mall shopping center. 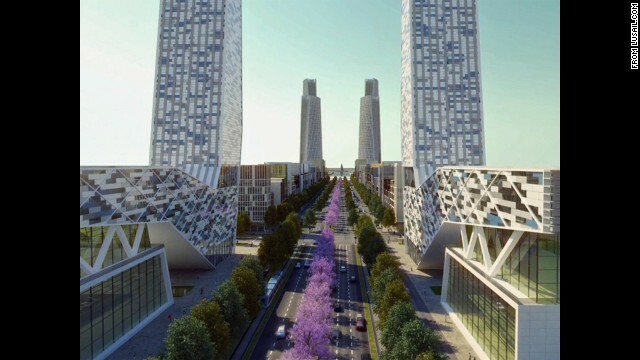 Funded by the oil-rich Qatari government, Lusail can offer innovative solutions to urban problems because it’s being built from the ground up. For example, the city’s gas, electric and water lines are being laid out in an underground network of tunnels, allowing for maintenance work that won’t disrupt buildings, roads or people above. The city will be fitted with a network of surveillance cameras, monitored around the clock, to keep streets safe. Buildings will be cooled by solar power and chilled water pumped through a vast network of pipes, which the city’s developers say is cheaper and more energy efficient than electrical air conditioning. Human waste will be disposed not through sewer lines but a more efficient network of pneumatic, or vacuum tubes, not unlike the ones at your bank’s drive-up window. Related story: Should smart cities be built from scratch? Some 20,000 workers — a small city unto itself — are building Lusail at an estimated cost of $ 45 billion. 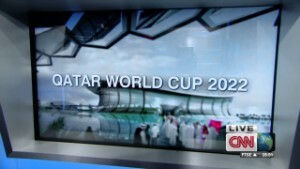 Developers hope to complete the city by 2019, three years before Qatar is scheduled to become the first Arab country to host the World Cup. But all the city’s sparkling features will lose some of their luster if soccer’s big global tournament gets moved to another locale. Some activists have been pressuring FIFA, soccer’s international governing body, to reconsider Qatar for a variety of reasons: allegations of bribery, the country’s condemnation of homosexuality and the blistering summer heat, which can reach 120 degrees Fahrenheit. There also have been allegations that Qatar has used slave labor — mostly migrant workers from Nepal — to build Lusail’s infrastructure. A report last year by the Guardian, the UK newspaper, said at least 44 construction workers had died of heart attacks and other ailments in a two-month period of 2013 amid grueling conditions. The state-run Lusail Real Estate Development Company, which is spearheading construction of the city, has said it’s “extremely concerned” about the slave-labor allegations. In a statement on its website, the company added that it’s investigating the charges, which involve one of its subcontractors. “Lusail City will not tolerate breaches of labor or health and safety law,” the company said in the statement, posted in response to the Guardian article. It declined to respond to CNN’s requests for comment. As for the brutal heat, Qatar says its stadiums will contain advanced, open-air cooling systems that will keep World Cup players and fans comfortable. Meanwhile, Lusail continues to rise slowly in the Qatar desert. Anchoring the city’s skyline will be four commercial towers, up to 75 stories each. These will be surrounded by five-star hotels, an entertainment district and the Marina Mall, a retail palace measuring more than 600,000 square feet. 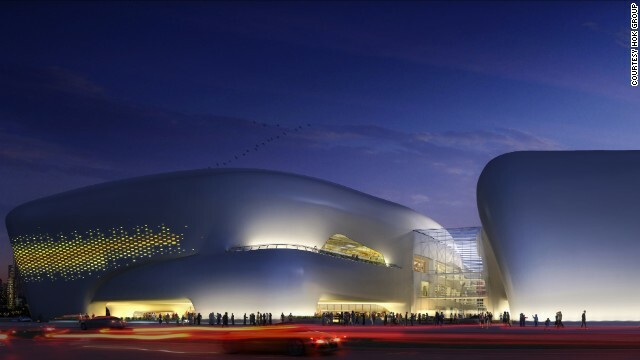 Scheduled to open in 2017, the mall is a cluster of five interconnected pods, shaped like giant boulders, with cantilevered white roofs to repel the heat. Its architects want the space to evoke desert canyons. A canal runs through it, and waterfalls splash throughout. The scope and design of the mall echoes the grand, futuristic vision for Lusail itself. 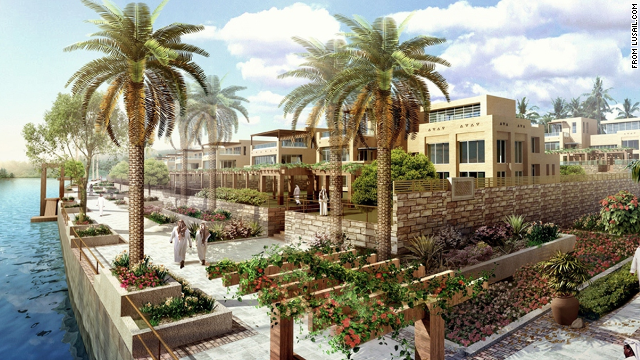 “It is a very ambitious and optimistic plan,” said Daniel Hajjar, a senior vice president in HOK’s Dubai office. 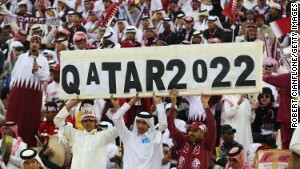 It’s a plan that has helped land Qatar the World Cup. 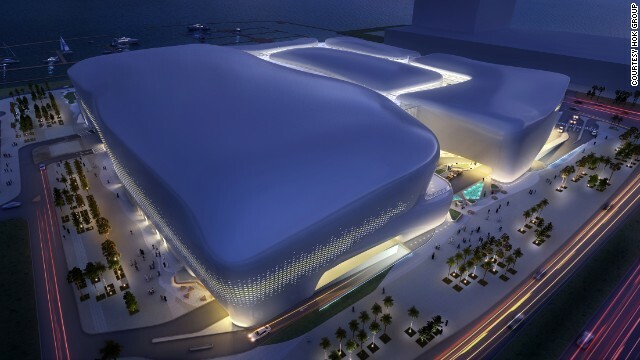 But Hajjar said Lusail will be completed even if FIFA has a change of heart and finds a new host for the event. It’s a discussion, usually with parents, about how they need to behave around police officers because of the color of their skin. “Me and my brothers literally had to rehearse talking to the cops w/ my parents,” wrote a Twitter user with the screen name @HeDoinTooMuch. After getting patted down outside my NYU dorm, #IGotTheTalk from my fams about keeping my beard short and remembering to get badge numbers. The Ferguson shooting has played out in a big way on sites like Twitter, where information spreads at lightning speed. News of two journalists being arrested while covering the aftermath of the shooting went viral on social media Wednesday, focusing attention on what some in the town have compared to a war zone. And on Twitter and elsewhere, the “hacktivist” group Anonymous was working to expose the name of the officer who shot Brown before police revealed his identity on Friday. In a related viral trend this week, students and other social media users — many of them black — shared images of themselves with their hands up in the air. At Howard University, students at a back-to-school housing meeting posted a photograph in which hundreds stood in the “hands up” position, which witnesses say Brown had done to show he was unarmed before he was shot.